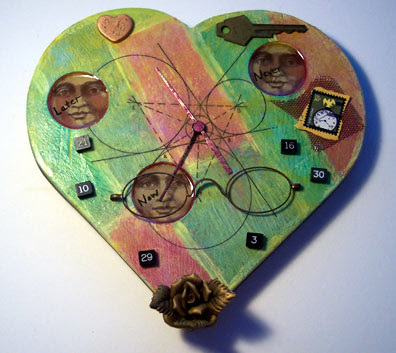 Mixed Media Artist: Question of the Month: Bloggers to watch? So, do you want to share your list of Bloggers to Watch? If so, put together your top ten (please include their urls), plus an additional link to your own site too, and send it to me to share with everyone. I'll bet we can all find some great new blogs to follow this way. Just send the links to cyndi @ mazeltovjewelry.com (remove the spaces). Please put "MM bloggers to watch" in your subject line. Ohhh, Cyndi...big hug to you for including me in your top 10...what an honor! A big hug back for writing such wonderful posts, June! Ahhh, Cyndi, you have inspired me...I've added a page (who knew I could do that??) that I am going to change every month of blogs I've stumbled across during my wanderings...so much to see, so little time to find it all!! !